"Sierra Madre has a summer hit with SPELLING BEE"
"Under Robert Marra's skilled, exuberant and fluid direction, this cast are miraculously focused and funny.﻿"
The reviews are in, and Robert's production is a bona fide hit! "Well, the Sierra Madre Playhouse and director Robert Marra have hit the jackpot with its two leading ladies, Nikki D'Amico as Louise and Cori Cable Kidder as Cline. With the overabundant charm exuded by both stars and backed by a superb five-piece combo that includes terrific musical director Sean Paxton at the piano, Always Patsy Cline should take audiences over the rainbow, through September 12." Robert's brand new version of this show is a big hit with critics and audiences! Congrats to the entire Cast and Crew! at the Lyceum Theatre a huge hit! Breaking all box office records for San Diego Musical Theatre! CHESS has been nominated for two 2010 BroadwayWorld Awards! CHESS in Concert a huge hit at The Met Theatre in Hollywood! 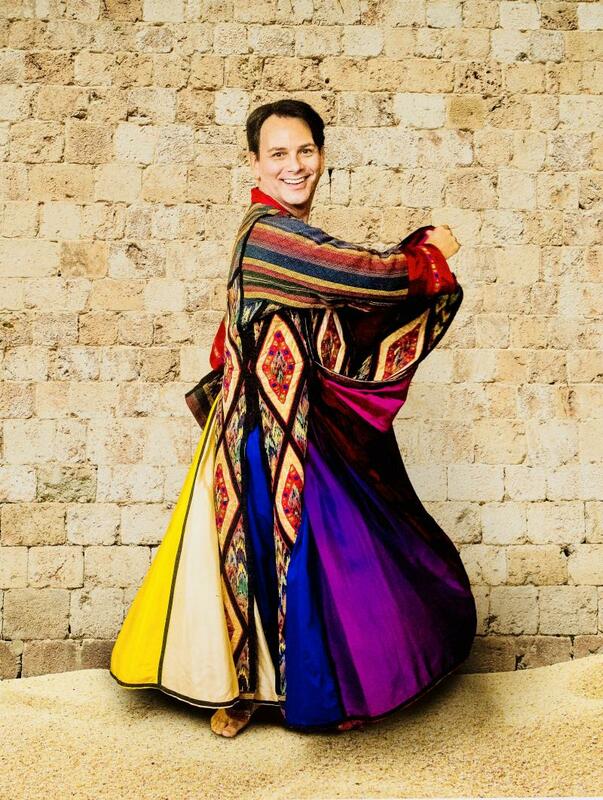 - Robert got back onstage again after a 10 year break to play one of his all time favorite roles again....the title role in JOSEPH AND THE AMAZING TECHNICOLOR DREAMCOAT, directed and choreographed by Lee Martino, at the Glendale Centre Theatre. - Robert directed and choreographed THE MARVELOUS WONDERETTES for the Sierra Madre Playhouse. - Robert directed and choreographed THE 25th ANNUAL PUTNAM COUNTY SPELLING BEE for the Sierra Madre Playhouse. 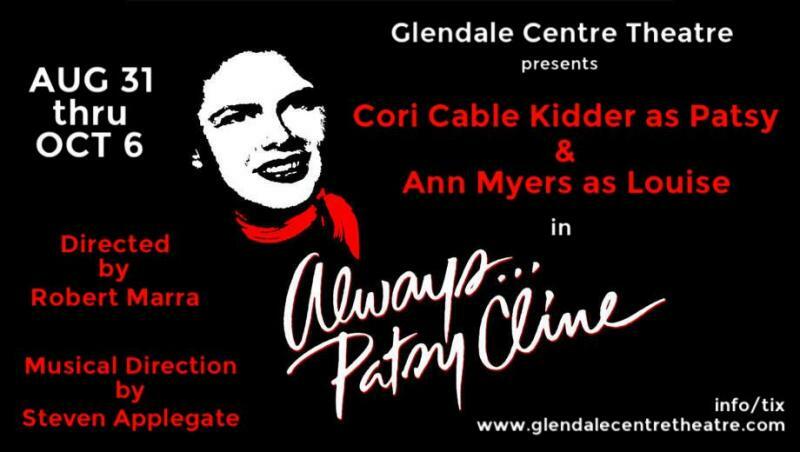 - Robet directed ALWAYS...PATSY CLINE for the Sierra Madre Playhouse. - Robert had the pleasure of directing Maura Hanlon's new one woman show LIFE, LOVE, AND ALL THAT COMES WITH IT! at Sterling's at The Federal. - Robert directed and choreographed THE SPITFIRE GRILL for the Sheboygan Theatre Company﻿ in Wisconsin. A fantastic show and cast! - Robert directed and choreographed CLOSER THAN EVER for the Sacramento Theatre Company. One of his favorite shows and scores. Truly a dream come true! - Robert directed ONCE ON THIS ISLAND for AMDA Los Angeles. A beautiful production highly praised by students, staff, administration, and audiences! - Robert was one of the Guest Judges for LA's NEXT GREAT STAGE STAR for his third consecutive year. This year's event was held at it's beautiful new home at The Federal in North Hollywood. Congrats to winner Charlotte Mary Wen - a stunning singer/actress - and to all of the very talented contestants! - Robert Directed and Choreographed (recreating Michael Bennett's original choreography) A CHORUS LINE for San Diego Musical Theatre at the Lycem Theatre. - Robert was proud to be one of the judges on LA's NEXT GREAT STAGE STAR 2011 - Congrats to winner Judy Mora, and all of the very talented performers! - Robert Directed 6 pieces in the Festival of Short Plays for StarLight Productions. - Robert Directed A CHORUS LINE for the Westridge School in Pasadena, CA. - Robert Directed three pieces in Madair Productions, PROJECT PLAYWRIGHT IV, at the Access Theatre. CONFECTION PERFECTION, STALKER, and BABY BLUES. - Robert Directed and Choreographed the LA premiere of PETPOURRI, a musical revue about people and their pets, as part of the Concert on the Hill Series at Marymount College in Rancho Palos Verdes. One night only - Friday October 24, 2008 - a benefit for SPCA LA! - Robert Directed the world premiere of A HUMAN SHIELD at the 13th St. Repertory Theatre. - Robert provided choreography and movement for the New York Stage and Film premiere of FINKS by Joe Gilford, directed by Charlie Stratton. Starring Jennifer Westfeldt and Josh Radnor. - Robert is delighted to be judging LA's NEXT GREAT STAGE STAR for the 6th consecutive year. Finale is on February 8, 2016 at the Noho Arts Center.